Life is better with cats! We know this to be so true! Just come in the store and see our shop kitty, Prim! 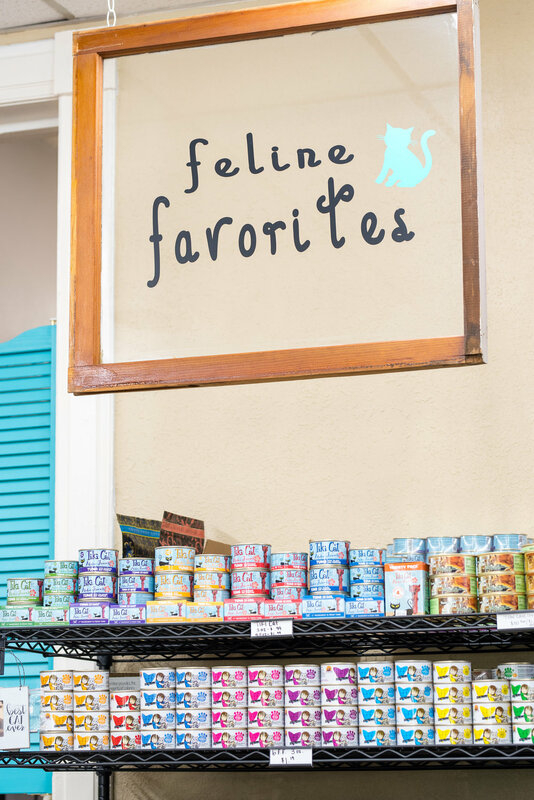 Our selection of dry and wet cat food is not lacking. 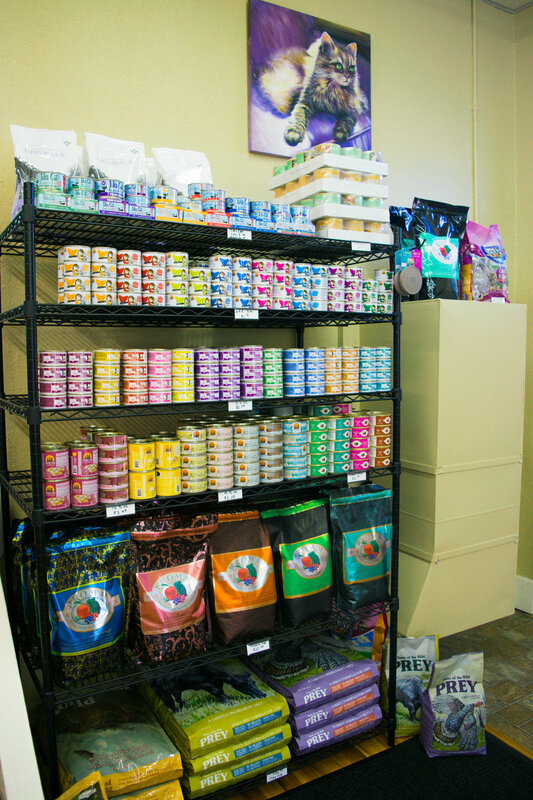 Premium Pets has a great variety for your picky, or maybe not-so picky eater. Our cat food is packed with high protein, low in fat and is very palatable. Some cat food formulas are more protein focused, while others have a variety of meat based ingredients and novel proteins. The canned cat food comes in 3oz, 3.2oz, 5.5oz, and 10.05 oz. sizes, while the pouches come in 3oz. 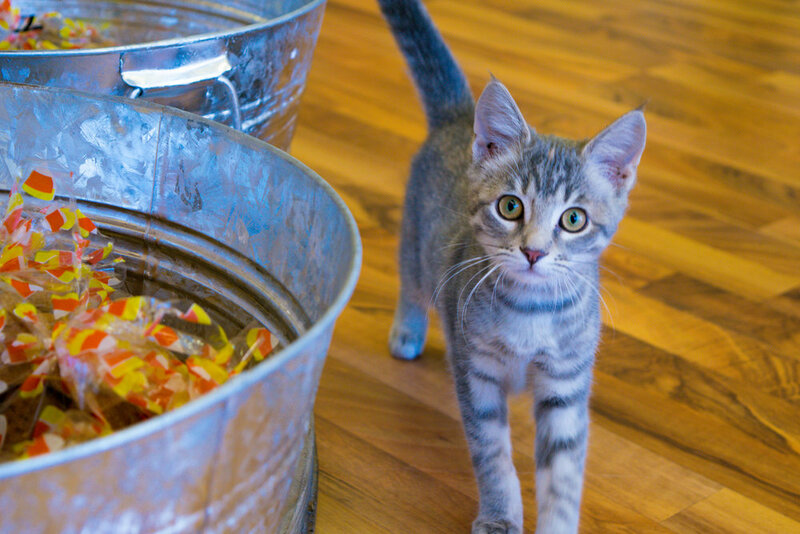 In addition, our dry cat food options offer a frequent buyer program so you are saving money! We have samples of our dry cat food in the store so please take advantage of these. *Kittens and cats have different nutritional needs. The main differences are the digestibility and nutrient concentration. Kittens need a food that is more nutrient dense than a typical cat food in order to meet their accelerated growth needs. Both in cans and pouches! Potentially dangerous chemical preservatives such as BHA, BHT, ethoxyquin and propyl gallate.